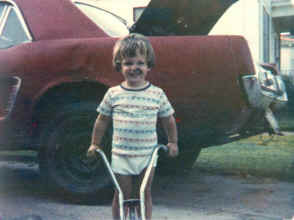 Here is me at 3 years old at my Aunt and Uncles house. Yep thats grease on my face and a 1964 1/2 Mustang in the background. It proves it all starts early!